Taking on a new construction project? We have your efficiency blueprint to help you get the job done with energy savings built in for the future. 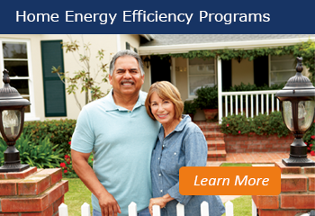 What is the Home Construction Energy Efficiency Program? The SaveNow New Home Construction Rebate Program offers incentives to builders and contractors for new residential construction. Homeowners will benefit when their home is built at least 15% more efficient than IECC 2015 specifications. To get started, fill out the form on the right and a member of our team will reach out to you to walk you through the application process.